Flat type perfectly satisfy almost all the packaging demands of light weight instruments and sets. 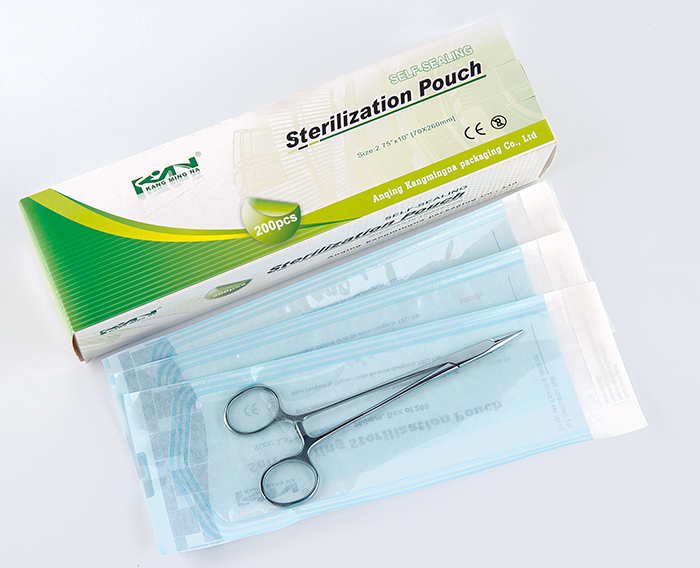 KMNPack heat-sealing sterilization flat reels (pouches) are constructed from medical grade paper and transparent PET/PP multi-layer copolymer film. Two water based, non-toxic process indicators for steam and ethylene oxide sterilization are imprinted on the paper surface which prevents the instrument from colored and help to differentiate between processed and unprocessed packages. Formaldehyde(FORM) indicator available upon request as well. Triple band seal for higher package integrity which effectively avoiding crack.